Under the big blue sky of Gifu, you can enjoy watching the 1,300 year-old cormorant fishing tradition on the Nagara River or pass a pleasant time leisurely exploring the town by strolling or rental bicycle. This castle was once resided by Oda Nobunaga, one of the most well-known feudal warlords who almost unified Japan during the Warring States Period, when he was actively expanding his domains. Visitors can gaze over the distant views of mountains of Ibuki, Yoro, and Ontake as well as the Nobi Plain from its keep. Panoramic night views can be enjoyed from the castle only for a limited time. It only takes 3 minutes to reach the top of the mountain by ropeway, and about 8-minute walk leads you to the castle from the ropeway station. 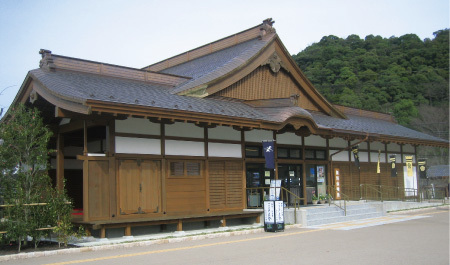 This museum features the history and culture of Gifu, especially the Era of Oda Nobunaga. 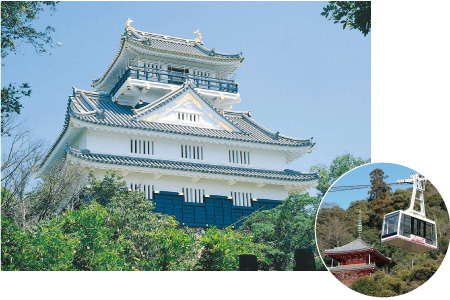 Visitors can observe a bird’s eye view of then Gifu Castle town and the replica of its townscape in addition to trying on kimono from the Warring States Period. 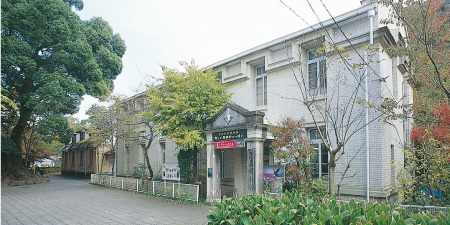 This museum was founded in 1919 by Yasushi Nawa, the "Father of Insects" and "Godfather of Gifu Butterflies" currently owning a collection of 300,000 specimens of 12,000 insect species around the world. 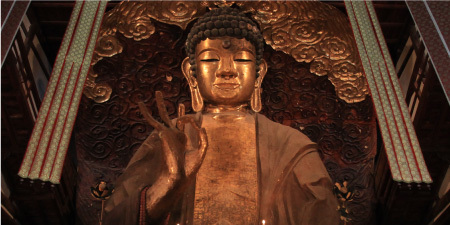 Regarded as one of the three Great Statues of Buddha and the largest dry-lacquered image in Japan, this 13.7-meter-high statue was made in the late Edo Period with wood, bamboo and traditional Japanese paper, etc. that are the representatives of Gifu culture. In commemoration of the Gifu-native brother artists, Eizo and Koichi Kato, this museum has a collection and exhibition of their art work many of which feature the Nagara River and Mt. Kinka. 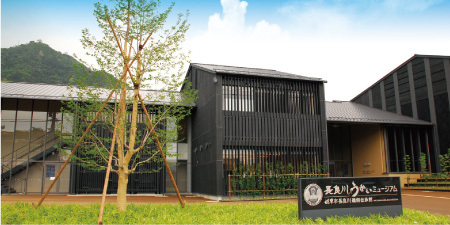 The first museum in Japan specializing in "Ukai" cormorant fishing. 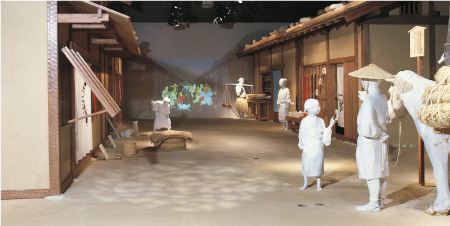 Highlights include the world’s first picture scroll-type screen “Guidance Theater" and various hands-on exhibits and displays. Good souvenir place. 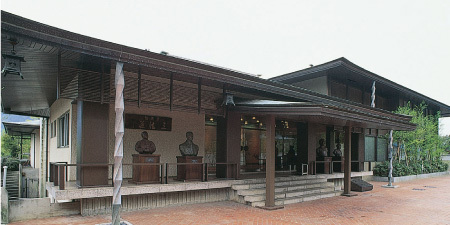 Famed as the museum of sal trees, this museum features oil paintings, Japanese paintings, sculptures, ceramics, and art work of renowned artists in various genres such as Renoir, Chagall and Ryuzaburo Umehara. Biwa (Japanese lute) concerts are also held in the mid-to-late June when the sal blossoms are in season. Dubbed as the “historic park where the soul of Lord Nobunaga resonates,” this center is modeled after a traditional samurai residence. 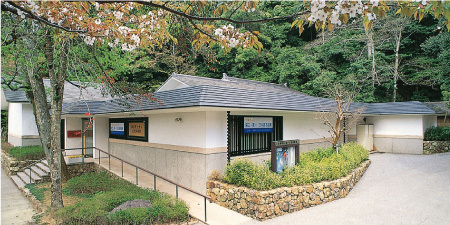 This center provides information on Gifu Park as well as light meals and drinks, offers a free resting area, and sells souvenirs unique to Gifu with a washroom and a rental cycle station located adjacently. Convenient as the hub for strolling in Gifu.